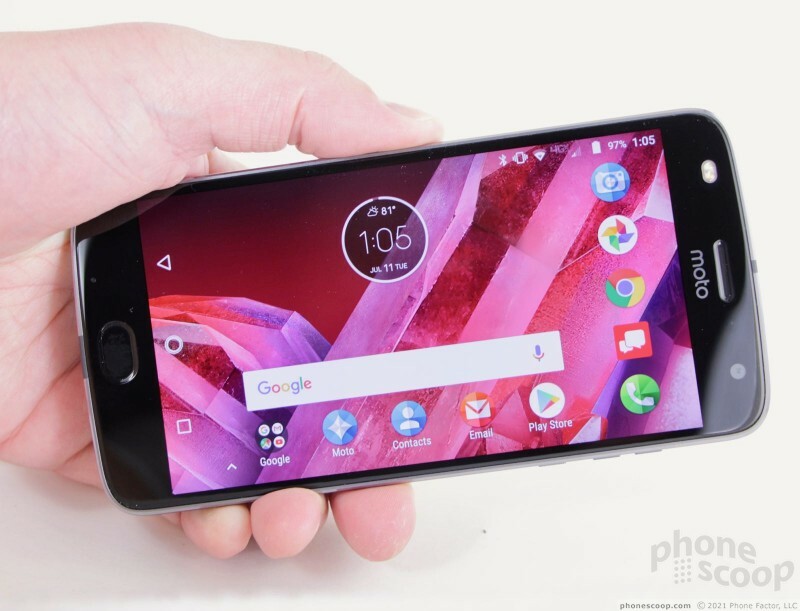 Motorola's latest Android smartphone is the mid-range and highly-capable Moto Z2 Play. 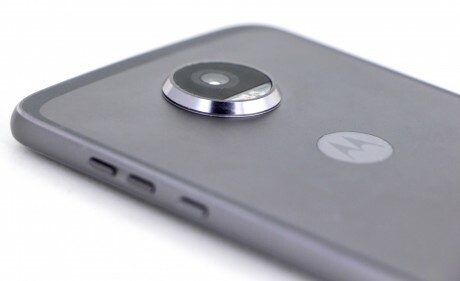 This winsome handset may not stay strictly true to the original, but it is compatible with all of Motorola's Moto Mods accessories and still brings plenty to the table. 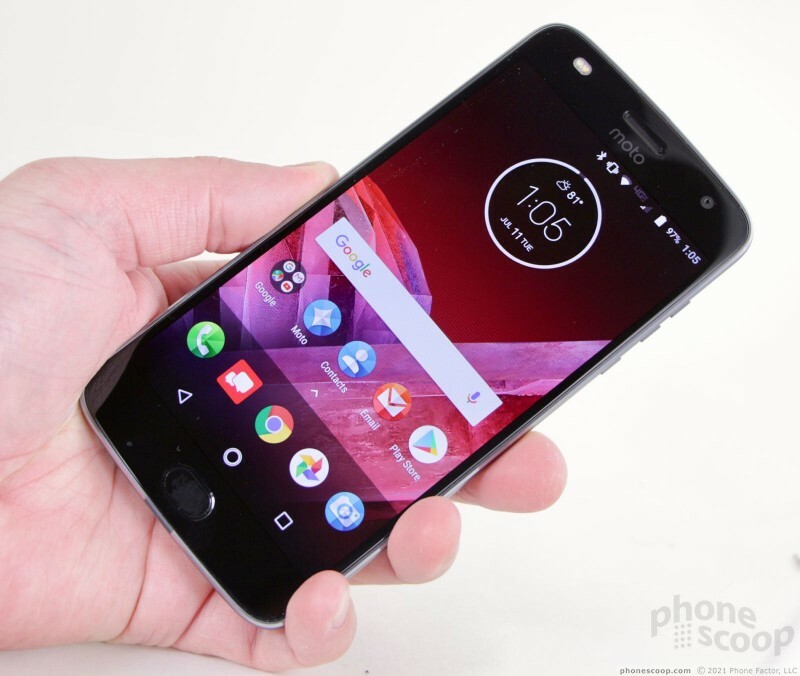 Here is Phone Scoop's in-depth review of the Moto Z2 Play for Verizon Wireless. 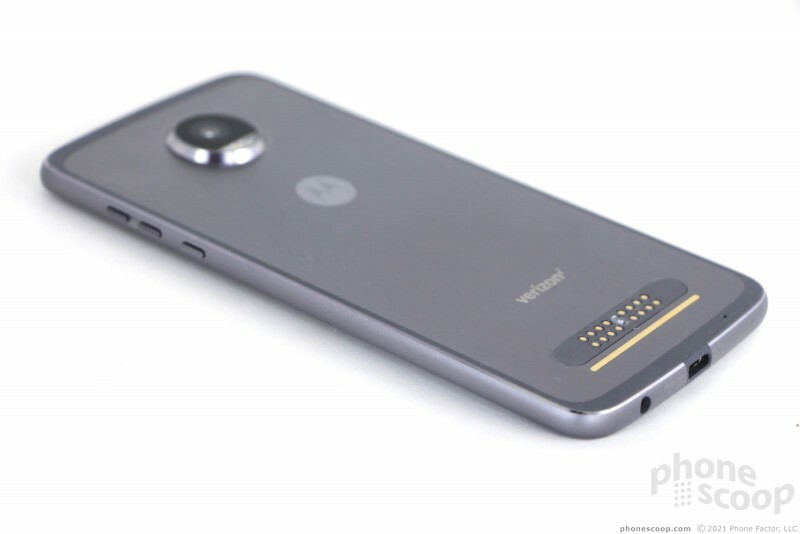 The Moto Z2 Play is a mid-range handset that's compatible with Motorola's collection of Moto Mods accessories. The Z2 Play makes the most sense for those who may have already invested in several Mods, but it's also a good buy for just about anyone who needs a solid everyday performer. It would be easy to write off the Z2 Play as a minor spec bump to last year's excellent Z Play. Thankfully, there's a lot to like about this second-generation, affordable smartphone from Motorola. 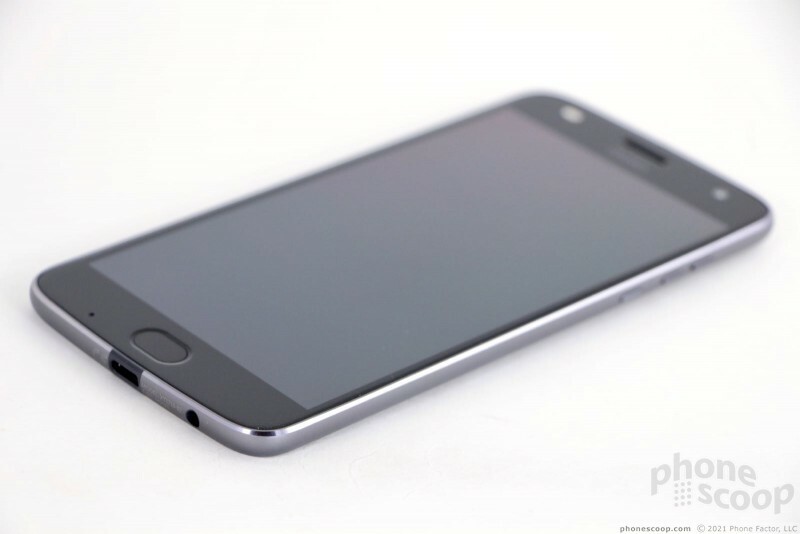 For example, the Z2 Play's design is better than the original. As much as I liked the metal-and-glass chassis of last year's Z Play, the twin glass panels left the original more exposed to breakage. 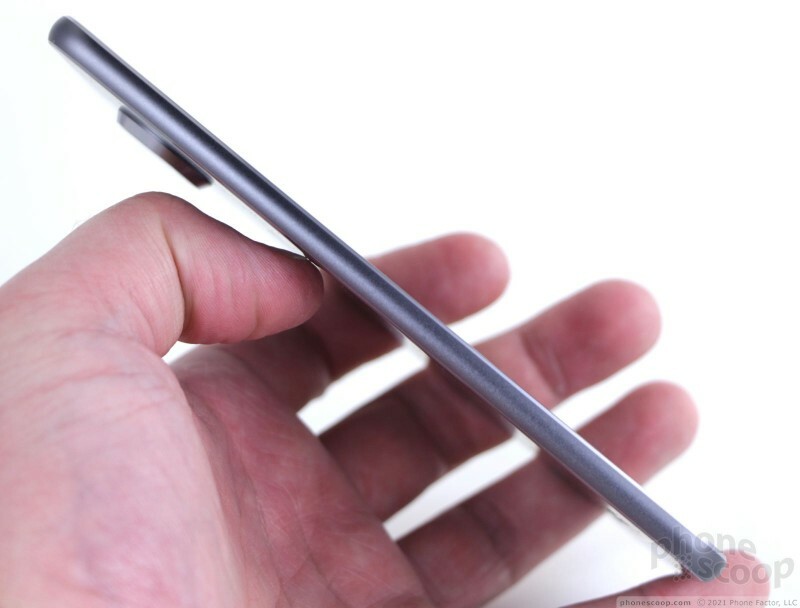 This year's phone drops the fragile glass rear panel in favor of an attractive metal plate. I dig it. 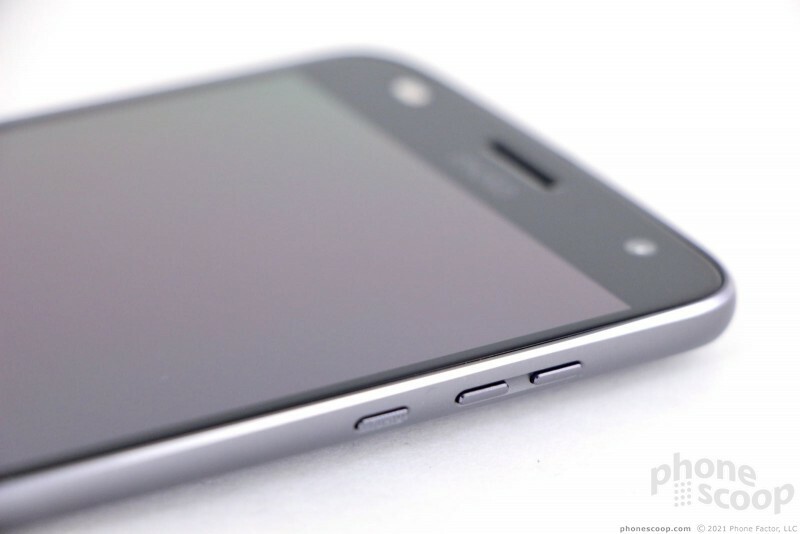 Motorola picked 2.5D glass for the front of the Z2 Play, though the curved edge is somewhat buried in the frame. The aluminum frame wraps all the way around the phone and has attractive chamfers along the edges that give it a little extra pizzazz. 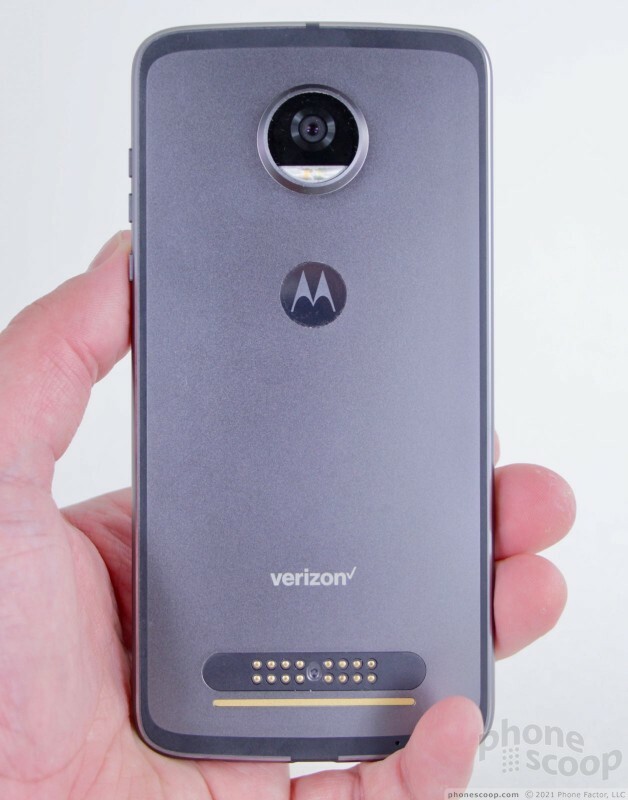 I like the gray-on-gray coloring of our review unit, though Verizon also sells the Z2 Play in gold. (Motorola will sell the Z2 Play in more colors later this summer.) The gray paint on the frame has a nice visual texture to it. The Z2 Play is a good looking phone and it comes across as stronger and less delicate than the original. The Z2 Play is slightly smaller and lighter than the Z Play. 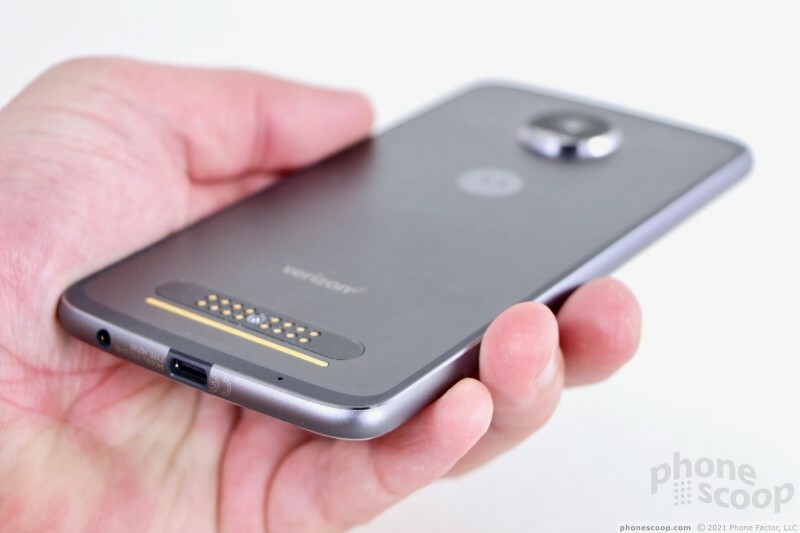 Keep in mind, the Moto Mods accessories demand a certain footprint, and all the Mods-compatible phones share similar (big) dimensions. 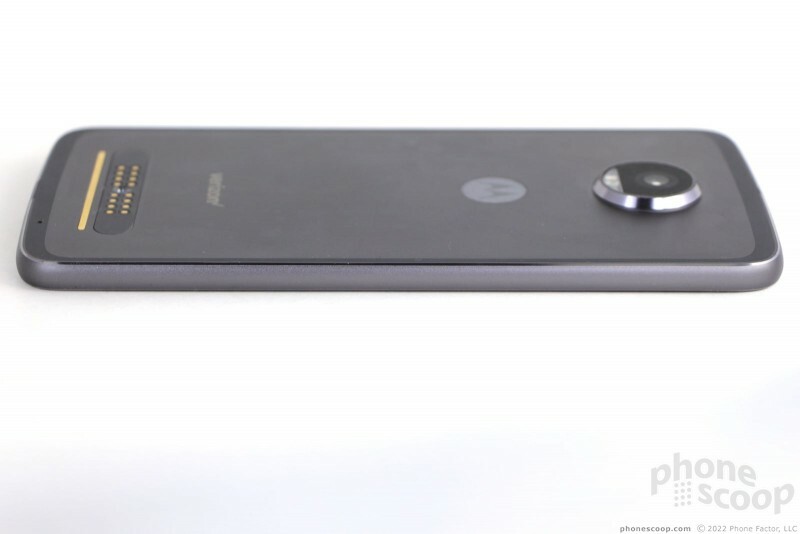 (Motorola sort of designed itself into a corner here.) Even so, Motorola trimmed the fat lining the Z Play's waistline, giving the Z2 Play a slimmer 6mm chassis. At the same time, the frame takes on a deeper curved shape that works with the thinner profile to make the Z2 Play more comfortable to hold and use. We can't pretend the Z2 Play is small — many people will still need two hands to interact with it — but there's no doubt in my mind that it's a more usable handset than the original. I appreciate the Z2 Play's drop in weight (from 5.82 ounces to 5.11 ounces), but the weight loss won't matter much if you snap a battery pack or other heavy Mod onto the back. The phone is slim enough that it slips into pockets with ease. The materials and build quality are excellent. 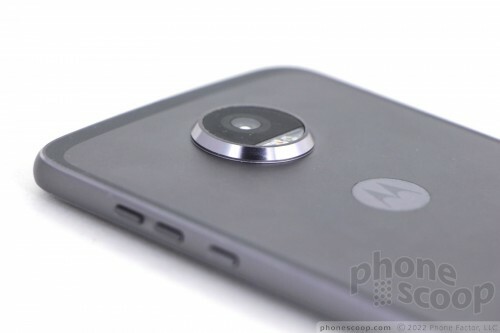 It's so close in quality to the Z Droid that you could easily mistake the Z2 Play for Motorola's flagship. I'm impressed by the rigidity of the frame and how tightly all the pieces are assembled. Nothing about the phone feels cheap or flimsy. The glass, metal, and polycarbonate components all fit together cleanly and with precision. The Z2 Play's face doesn't deviate from the Motorola playbook much. The black glass fills out the front nicely. You'll easily spot the two-tone LED selfie flash in the top-left corner. 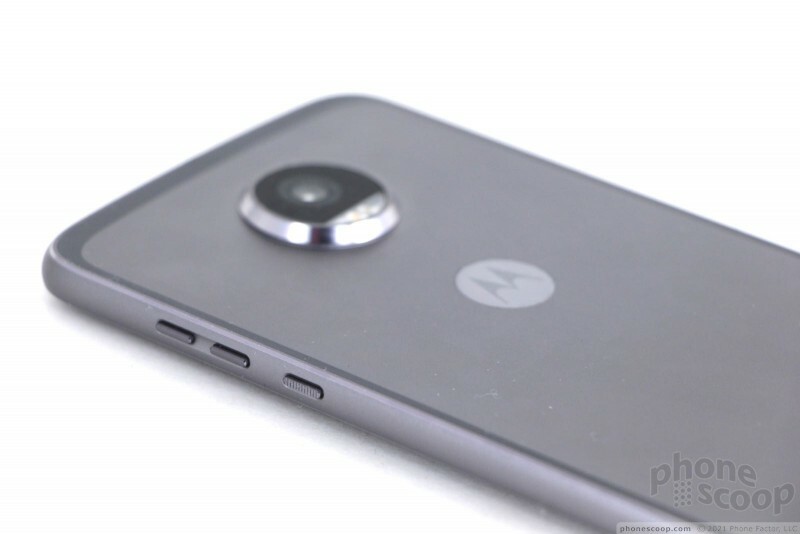 The user-facing camera is hard to spot, while the "moto" logo (yes, lowercase "m") is painted on between the earpiece and the top edge of the display. I wish the display were as black as the thick bezels surrounding it, but it's not. Perhaps the biggest improvement in design rests on the phone's chin: the Z2 Play has a nice, oval-shaped fingerprint reader that's easy to find and use. It's far more usable than the small square reader on last year's phone. The actual nav cluster comes and goes as needed on the screen itself. 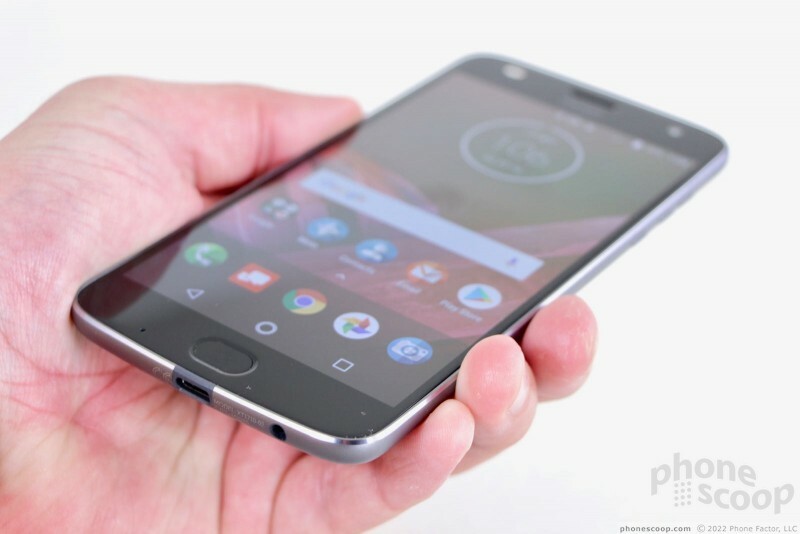 Similar to the Moto E4, the Z2 Play's fingerprint reader doubles as a navigation tool. You'll need to turn to on the features using the Moto App. Once you do, the fingerprint reader acts like a trackpad and allows you to navigate back or access the app switcher when you swipe left or right, respectively. Of note, if you turn on the fingerprint reader navigation controls, the screen-based buttons go away. A trio of buttons are perched high on the right edge of the phone. The lowest of the three is the screen lock key. It has a ridged texture to help it stand apart from the other two buttons. I'd call the button a little small, but the travel and feedback are very good. 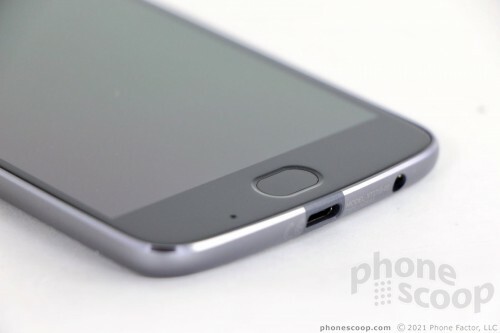 The volume controls are separated into two flat buttons above the screen lock key. Motorola put a significant gap between the two, which helps your thumb effortlessly differentiate between them. These buttons also have good travel and feedback. 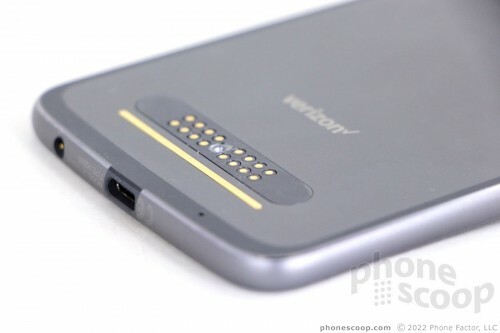 The SIM / memory card combo tray is tucked into the top edge of the phone. It's easy to interact with using the proper tool. 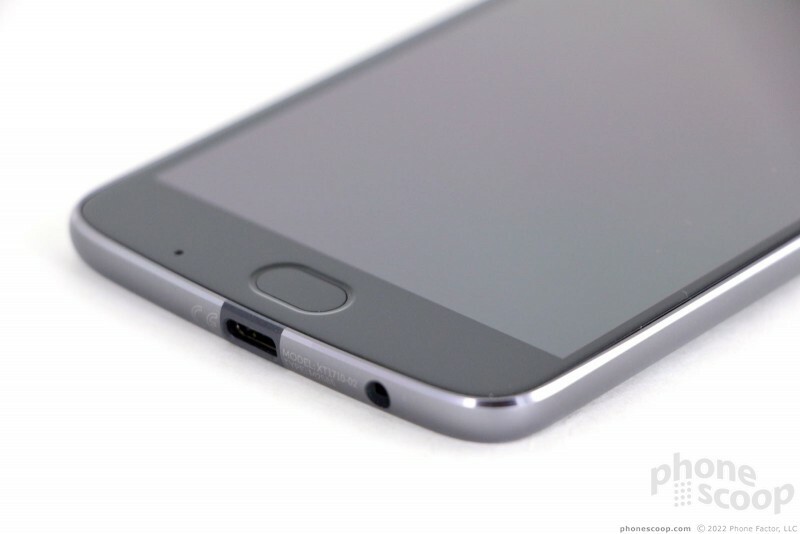 The USB-C port and 3.5mm headset jack are both found on the bottom edge of the phone. 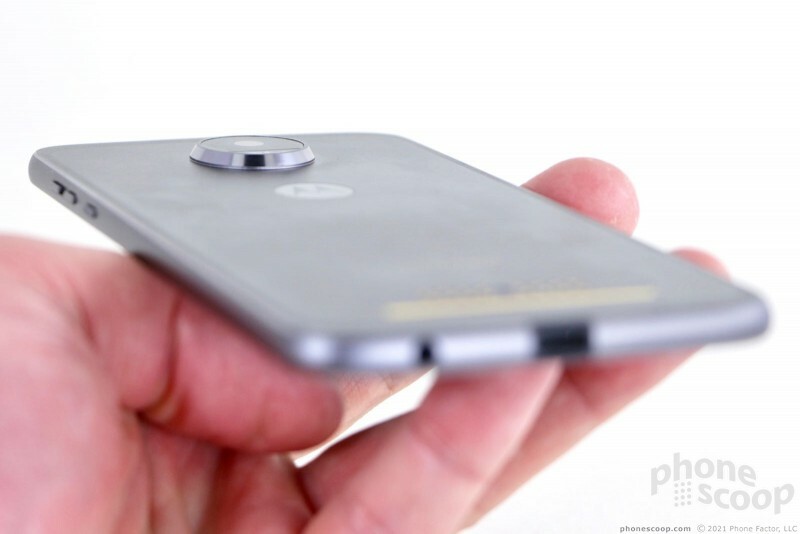 Motorola's proprietary magnetic module connector is positioned near the bottom of the rear panel. The magnets feel incredibly strong and robust, though it is still easy to pry Mods off when you want to. I've used Moto's Z-branded handsets on and off for close to a year and never had a Mod fall off. Mods fit on the Z2 Play perfectly and securely. The rear panel is sealed up tight, so swapping the battery is not going to happen. Motorola has dedicated battery Mods for those who get angsty about battery life. Perhaps my only legit gripe about the Moto Z2 Play is its lack of real waterproofing. 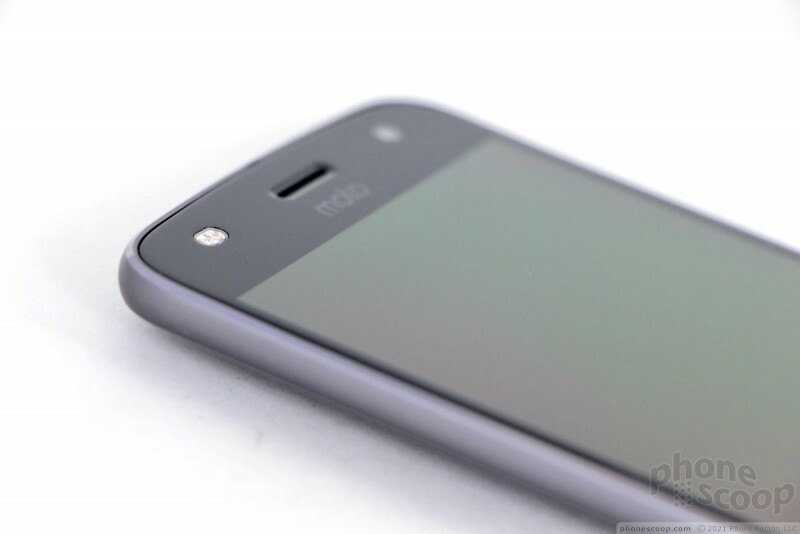 Motorola coated the interior electronics with a water resistant material. It can handle light rain and perhaps some splashing, but the Z2 Play cannot handle immersion, such as dunks in backyard pools. That said, Motorola has done an excellent job updating its mid-range offering. The Z2 Play is a near-flagship quality handset that impresses all the way around. The Z2 Play may have a sharp new chassis, but the screen is a direct carryover from last year's handset. 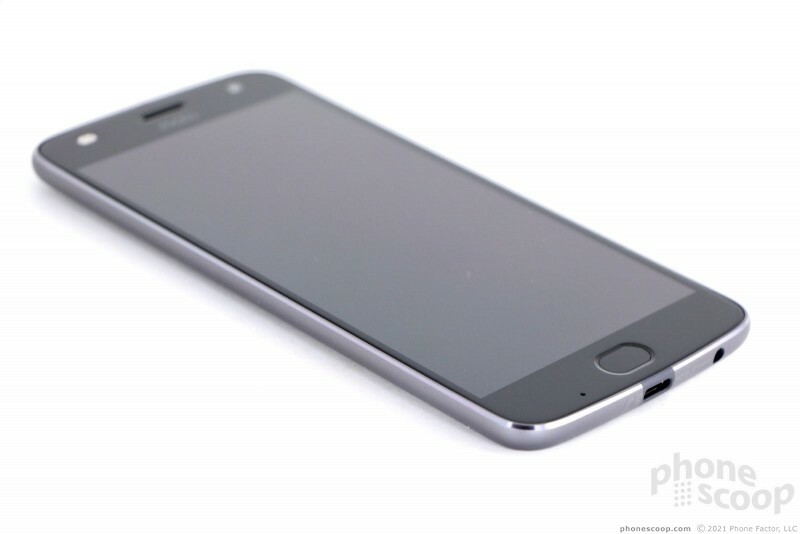 That means the phone has a 5.5-inch full HD AMOLED panel with a pixel density of 401ppi. The pixels are packed in tightly enough that spotting them along the edges of text, graphics, and images is nigh impossible. AMOLED displays are great when it comes to contrast. Colors are perhaps oversaturated a bit, but I think as a whole the Z2 Play's brightness, color, and contrast are very good. I was able to see the screen when outdoors under sunny skies with no problem. Viewing angles are excellent. The display looks great for this class of handset. 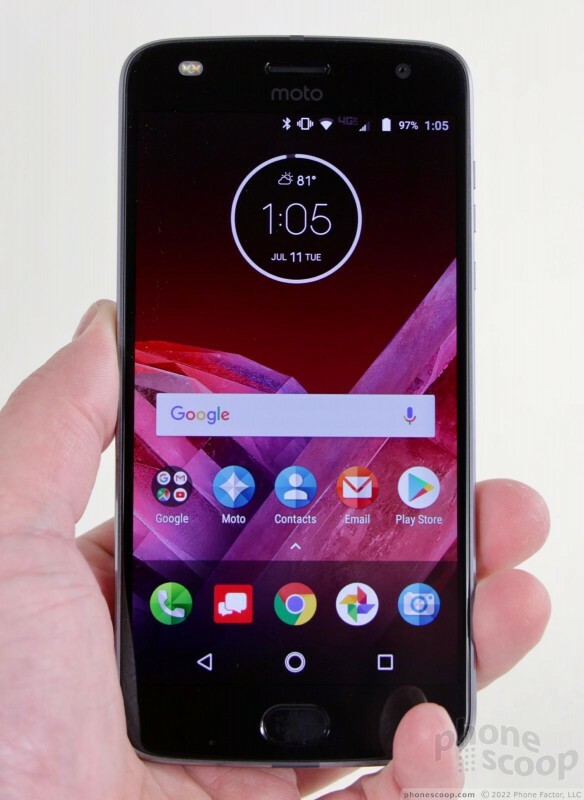 Motorola knows how to make phones that connect to Verizon's network. The Z2 Play was a signal champ throughout my time with it. I was able to connect calls on the first dial in strong and weak coverage areas alike, and calls didn't drop even when traveling at highway speeds. I did see one call that went straight to voicemail. Data speeds were very good. The Z2 Play supports Cat. 6 LTE (as opposed to the Z Play's Cat. 4). In the real world, that means the phone was able to keep me up-to-date on Twitter and Instagram while streaming Spotify. I didn't run into any buffering or other oddities when watching YouTube videos over 4G. The Z2 Play is a good cell phone. The earpiece does double duty: it handles regular calls and speakerphone calls. 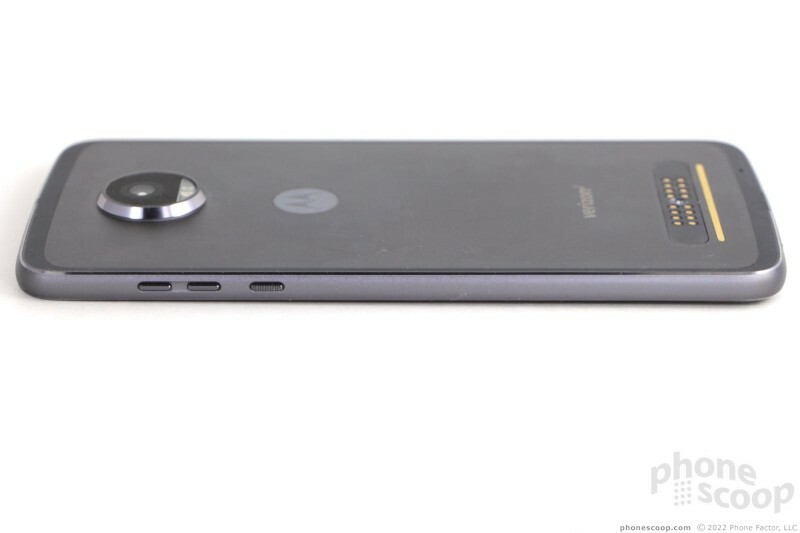 This is a design characteristic common to Motorola's recent handsets. The Z2 Play is an excellent voice phone when you use the phone normally (i.e., hold it to your ear). Clls via the earpiece are crazy clear. It's so clean, warm, and friendly. Volume is quite good and the Z2 Play allows you to hold conversations in noisy environments, such as busy shopping centers and bustling coffee shops. I had no trouble hearing people in a moving car. Those I spoke to through the Z2 Play said I sounded "great". I was hoping for more from the speakerphone. It loses both clarity and volume when compared to the earpiece in normal mode. Calls come through a bit muffled and I had a hard time hearing calls in the car even when the volume was cranked all the way up. 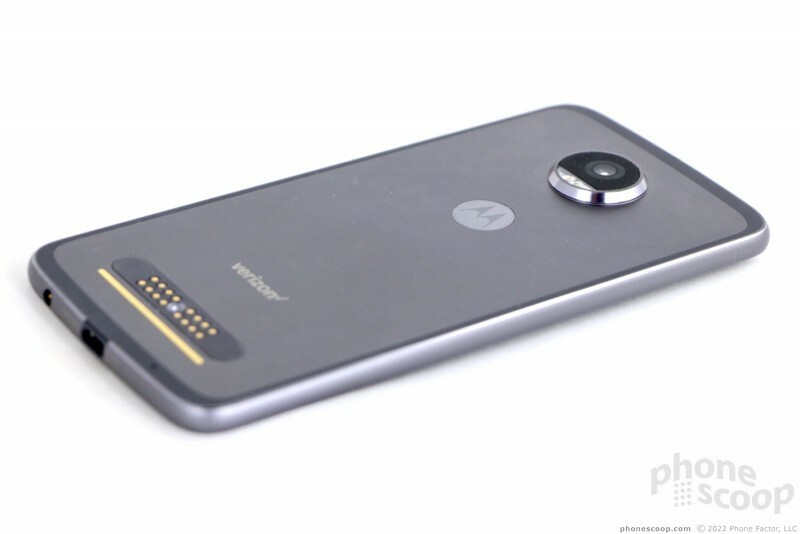 In this respect the inexpensive Moto E4 actually outperforms the Z2 Play a bit, as the E4 exhibited clearer, louder speakerphone calls. You can use the Z2 Play for speakerphone calls in quiet spaces, but you'll have trouble with it in louder spaces. The ringers and alerts could be louder. I missed some calls because I didn't hear the ringtone. I was pleased with the vibrate alert, which was strong enough to get my attention. 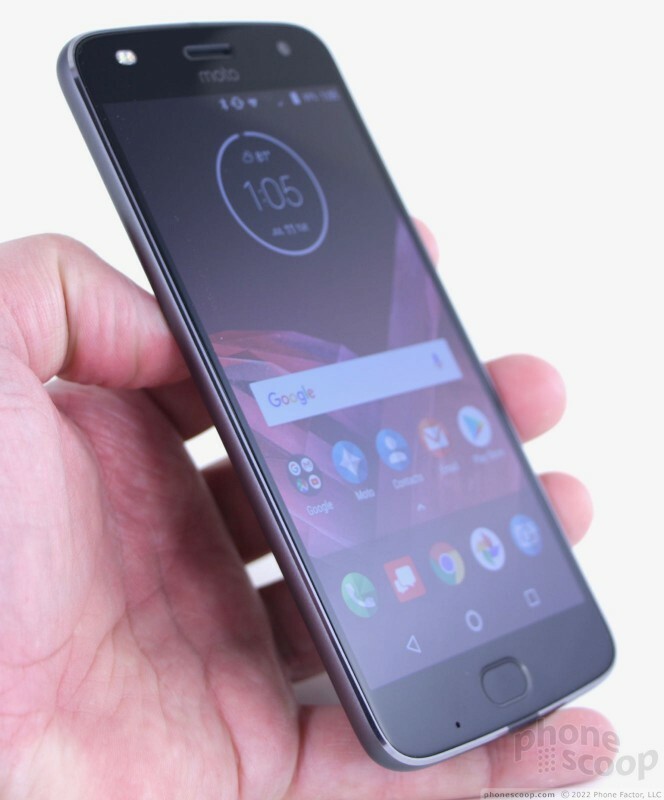 The Z2 Play is thinner than the Z Play because Motorola raided the battery. Last year's phone boasted an impressive 3,510 mAh power supply that easily lasted through two full days of hard use. This year's phone trims 14% of that capacity down to an even 3,000 mAh. Don't fret too much. I consistently got about one and a half days from the Z2 Play. That's easily more than most phones on the market, even if it's not quite as much as the two days of battery offered by last year's Z Play. I think the majority of people will be pleased with battery life. The basic Android battery saver tool is the only power management software installed. You can toggle it on manually or set it to flip on automatically. It helps a little bit. 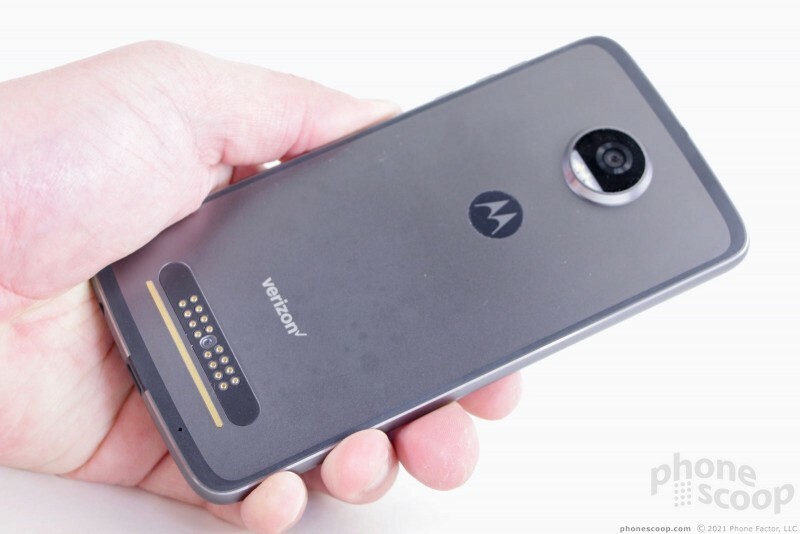 Motorola made sure the Z2 Play supports its TurboPower charger and it ships one in the box. The phone was able to jump from 50% capacity to 85% capacity in less than 25 minutes when plugged in. That's hours and hours of uptime. If you find yourself in battery trouble, a quick recharge goes a long way. Sorry folks, no wireless charging. The Z2 Play's Bluetooth radio mostly worked well. The phone paired and connected with accessories such as headphones and speakers with no trouble. The same goes for nearby computers. I saw a few hiccups when I tried pairing the Z2 Play with my car's hands-free system. After I made the connection, call quality through my car was pretty rough. Calls sounded better when sent to a regular Bluetooth headset. Music sounded very good through my current favorite Bluetooth headphones. As for GPS, the Z2 Play performed on par with the best. It plotted my location in 1 or 2 seconds and was accurate to within 15 feet. The phone handled real-time navigation between points perfectly. The NFC radio gave me some trouble. I wasn't able to use it to pair with other NFC-equipped devices, such as headsets. That's a definite bummer. The NFC radio does support Android Pay for mobile payments and it worked well when I wanted to transfer settings between phones. I didn't experience any issues with the WiFi radio.